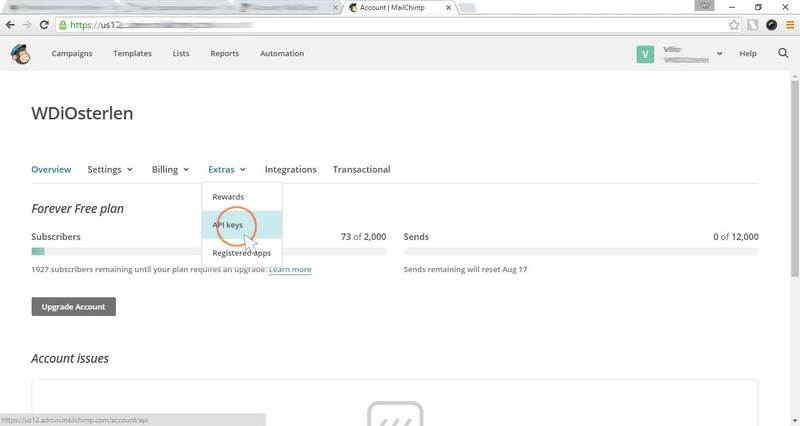 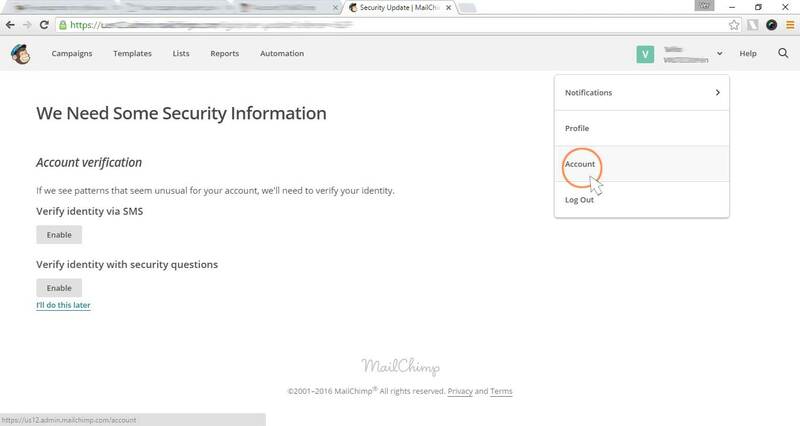 Log in to your MailChimp account at mailchimp.com. Then, from the menu on the top right, click on your Username, then select “Account” in the flyout menu. 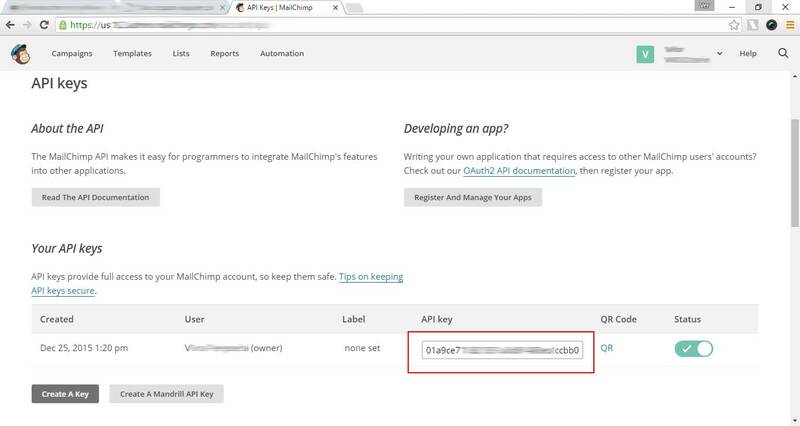 From the account page select “Extras”, “API Keys”. Your API Key will be listed in the table labeled “Your API Keys”.